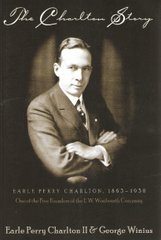 The Charlton Story by Earle Perry Charlton II and George Winius is chock full of details and photos about one of the founders of the F.W. Woolworth Co., and his efforts to start a new type of business in the late 1800’s in Fall River. A self-made man, Charlton started his first little store with his savings which would grow into a chain of 53 E.P. Charlton five and ten cent stores which spanned Canada and the west coast from Seattle to San Diego- with the business based in Fall River. Fascinating reading! 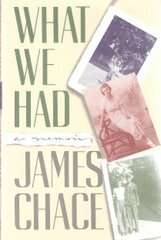 Both volumes are for sale at the Fall River Historical Society gift shop, with the Chace book on sale for $7.95- a GREAT summer read!